If you search for freeware programs using Google, Bing or Yahoo search, more than likely one of the top 3 or 4 search results is going to be Softonic (en.softonic). 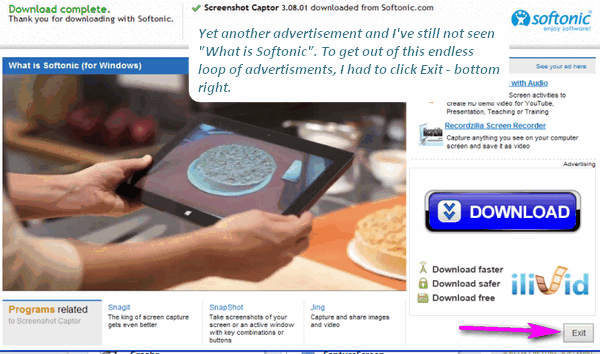 And if you click the link to download from Softonic, you’re in for a long ride, and you’ll be setting up your computer for hijackers, toolbars, annoying advertisements, and more, all courtesy of Softonic. What is Softonic? It’s a software leech — it takes the hard work of freeware developers and like a leech it attaches itself to the freeware program, wrapping it up in an installer cocoon replete with gimmicks, tricks, hijackers, video ads and advertisements for known malware, e.g. iLivid. Softonic creates nothing and it provides no useful services. 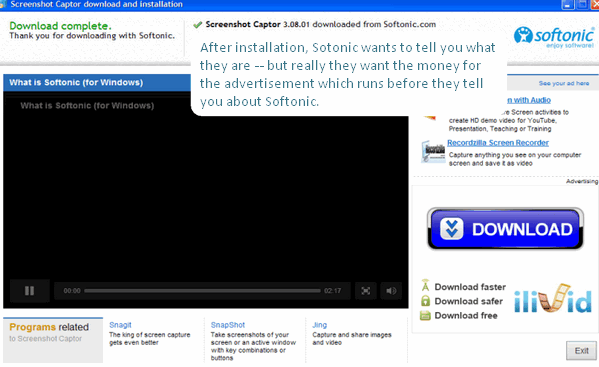 It makes its living tricking users, trying to get them to install a variety of hijackers, toolbars, malware programs, and failing to trick the user into any of those, it makes one last gasp to try to extract money from decent freeware programs by subjecting users to a video called “What is Softonic”. And you’d think that would be about the company, maybe somewhere in that video there is something about Softonic, but after sitting through two ads (for which Softonic got paid) I closed the Window. 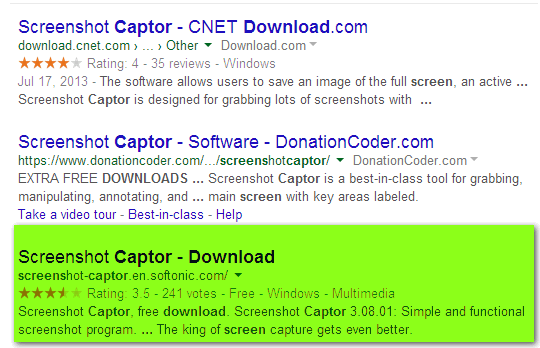 Two parasitical download sites (CNet and En Softonic) sandwich the author’s site. Since this article is about the worst of the parasites, I chose the Softonic download (and later the Screenshot Captor’s real — author’s — download site) so that we could show you exactly how this company makes their money by riding the back of legitimate freeware. Note above: I clicked to download Screenshot Captor, but if you look very closely, you’ll see the program I’m actually downloading is SoftonicDownloader_for_screenhot_captor.exe. 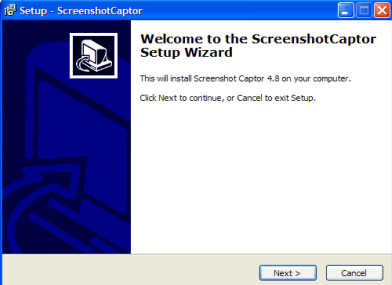 This is the scumware installer package from which Softonic hopes to earn money for nothing. A parasitical download bundler out to make money from someone else’s free program. 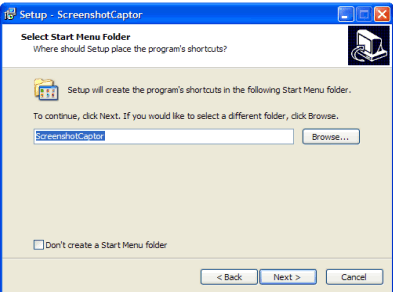 Screenshot Captor? Nope. First it wants to install Acronis True Image. This is not malware, but it’s not freeware either. 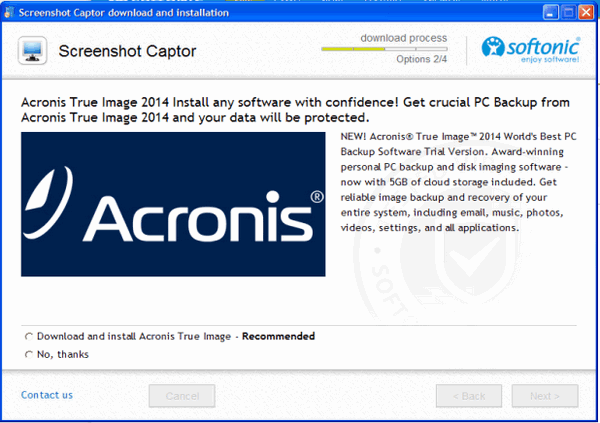 It installs it’s affiliate version of Acronis True Image. Note, Softonic can’t resist deception. Nowhere on this dialog does it say Acronis is not free. It makes it sound like it’s free. But it’s not. If you download and install it, guess who gets money? If you answered, “Softonic”, you get a gold star. Although Subtonic’s EULA promises it doesn’t install any spyware or malware, above you can see it’s attempting to install Linkey (PUP/Malware). Note that “Express” is checked. We all like Express, right? Who wants to take the slow road? Of course, if you leave it checked you’ll end up getting a hijacker and toolbar- both PUPs at least, and malware by our definition. If you leave Express ticked, guess who gets paid? You’re right again: Softonic. After you make it through its arduous installer, Softonic is anxious to tell you all about their company. Not so much. They actually want to show you video advertisements, for which they get paid, and coax you into a very well-known malware program called iLivid — a pesky piece of garbage that’s extremely hard to remove. Watch the video or download iLivid, guess who gets paid? Another advertisement and I’ve still not learned a thing about their company — but, it’s okay, we’ve got this parasitical download site figured out. I finally clicked exit. This is really unbelievable that Softonic is one of the biggest download sites and they’re making tons of money by taking advantage of freeware developers, users, and advertisers. This company takes the proverbial scumbag trophy. If you watch this advertisement, guess who gets paid? Above: Softonic leaves registry traces behind too, even if you opt-out of all their “offers”. Nothing wrong here. Just showing the installation path. Screenshot Captor (free for home/personal use) does not contain ads, PUPs, Malware, or ads masquerading as videos. 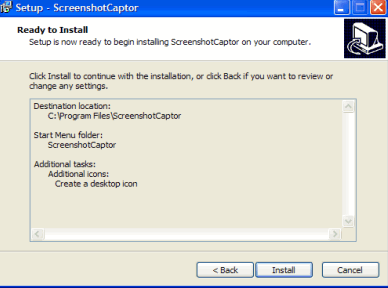 The software installer downloaded from Screenshot Captor’s developer’s site contains nothing at all but the program. 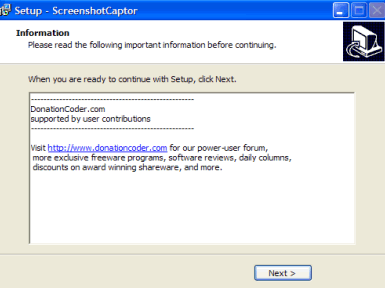 The “real” freeware download link is: http://www.donationcoder.com/Software/Mouser/screenshotcaptor/index.html . Compare it to the installer provided by Softonic. The truth is clear: Softonic is a parasite. It makes money by riding the back of the hard work of software developers and by tricking those who download the Softonic version of freeware, into installing trialware, malware, Pups. And, to add insult to injury, they even try to trick users into watching a video complete with advertisements to squeeze even more money from a decent, clean freeware program which has nothing at all to do with Softonic. One more thing: Softonic likes to skirt the truth and play semantics with words. If words were dancers, Softonic would be Fred Astaire. By clicking on the “Accept” (or equivalent) button below, you will be expressing your acceptance of this agreement. Softonic reserves the right from time to time to update and amend this Software Licence (sic) and any enclosed reference documents. In addition, a toolbar will be offered, and it shall change the User’s home page, default search settings and 404 error traffic, in the event the User selects such options. Softonic shall not be liable for any damages arising from your use of Softonic Downloader in a manner contrary to this Software Licence (sic). Except for the statutory liabilities set forth in consumer legislation, you exonerate Softonic from any liability arising from an improper execution of Softonic Downloader or the malfunction of Softonic Downloader arising from the manner in which you ran the software. 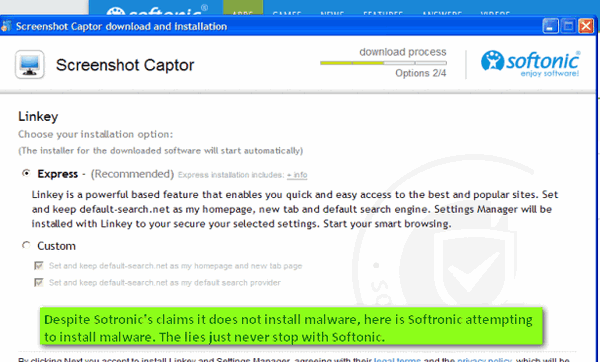 Softonic warrants that Softonic Downloader is not Spyware or Adware. 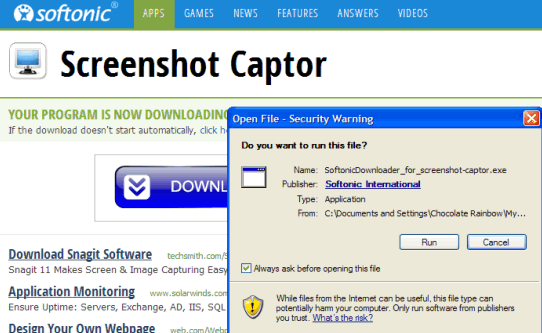 Softonic also warrants that Softonic Downloader does not show pop-ups or collect users’ personal data. You state that you are aware that Softonic may not have a relationship of any nature with the owners of the computer programs you download. You shall not hold Softonic liable for any claims against you for your use or possession of the products downloaded with Softonic Downloader, including, but not limited to claims for libel, violations of publicity or data protection rights, intellectual property rights, trademark rights, and any other claim or complaint with regard to the content, quality and functioning of the said software. For any controversies arising from this Software License or the execution of Softonic Downloader, the parties submit to the jurisdiction of the courts and tribunals of the city of Barcelona. Click here to read it in its entirety. From top to bottom, from beginning to end, Softonic is bad medicine. Like leeches, they make money by sucking the blood out of decent programs, install malware/adware/PUPs by tricking users, install trialware with no notification that its trialware, advertise well-known malware such as iLivid, trying to entice users to download it, and then, as if all that weren’t enough, they want users to watch a video supposedly about their company, but really its about them getting paid when you try to watch it. If you ever see en.softonic (Softonic) in a URL when you’re searching for software, stay away. That’s our advice. Companies like Softonic, offer nothing of value, create nothing, serve no one other than themselves, yet they make millions and millions of dollars from deceit, deception, and trickery. They are parasites, preying on freeware developers and users like you. While they make millions of dollars by coaxing users to install malware, PUPs, hijackers, and trialware presented deceptively as freeware, sites like Cloudeight, Scamadviser, and other sites which advocate for you, the ordinary user, and try to keep you safe, struggle to keep their businesses alive. There’s something wrong with this, we think. It’s no wonder that 90% of the computers we have had a chance to work on via our Cloudeight Direct Computer Care service are infected with malware and PUPs. And more than 50% of these are infected to the point where system performance is impacted. We realize that the Web is a mirror of the real world and in the real world, those who do good are often the poorest. While pernicious businesses, who practice subtle deception prosper, those who try to shine a light on the truth, are often laughed at and ignored. We published the above article at substantial financial risk — since it’s quite possible that Softonic won’t be happy with us. But the truth is the truth. Help us by posting the above article to your social networking page, Twitter, Facebook, LinkedIn — whatever site you use. Spread the word about companies like Softonic who prosper by trickery and deception. Exposing sites like Softonic is the first step in getting them to change. By making people aware of Softonic, who they are and what they do, you will be helping others — keeping them away from Softonic. And if enough people stay away from Softonic, Softonic will either change or cease to exist — both of which are desirable outcomes. Also, consider helping sites like ours by becoming a Cloudeight Booster. Every “gift” (donation) helps us to keep you informed and safer. Thank you for this article. 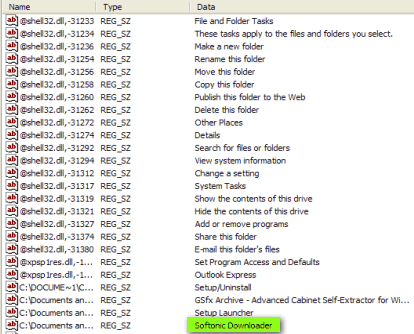 Unfortunately I have managed to download softonic on my computer – how exactly I do not know as I am usually careful about what is ‘added extras’ in anything I donload. I have tried to delete it, uninstall it – unsuccessfully. Can you tell me how to do it please? I can’t answer this because Softonic installs different things at different times. I don’t know what browser you use, but the first step is to disable any toolbars you don’t recognize. The next step is changing your browser start page back to what you want, and the 3rd step is fixing the search engine hijacker — by going to “manage search engines” and first choosing a different default search engine – like Google or Bing — and then removing the hijacker. 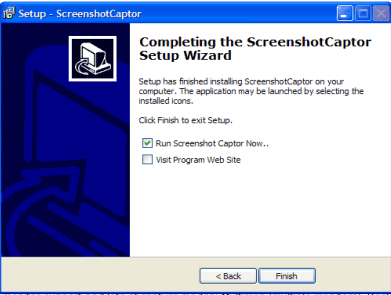 I’m the author of Screenshot Captor, and it is absolutely infuriating to me when sites like this do this to my software. Many (most?) users who download my software from such a site will assume that the adware and junk is stuff that *I* put in there — and they will play me for it. Not only are these companies ruining the reputation of small sites like ours, but they are making money from it. And google helps them by putting their results high up in it’s list. If your comments do bring you to legal blows with Softonic, bring the story to the attention pf popehat.com and techdirt.com. Legal bullying by corporations, and attempts at censorship through claims of “defamation” or “interference with business” are things they love to bring to the public’s attention. Can you say Streisand Effect? Thanks for posting this article. As a freeware author whose software is on this site (and others like it), I couldn’t agree more. It really angers me knowing these sites are making dollars off my, and other freeware authors’, hard work and generosity. Furthermore, just the thought of a user thinking that I allowed or somehow condoned this really pisses me off. Just the idea of somebody thinking I “sold out” to sites like this sets my teeth on edge. Thanks, again, for the article. I just came across Softonic today while I was looking for a game I had been playing online that suddenly disappeared. I was surprised that it was available for a free download and I actually started the process…only I’m very suspicious about downloaders I’ve never heard of. I started looking up information about these programs and came across your post here. Thank you for clarifying what this site is and I will take care to avoid it in the future. I downloaded a emoticon program from softonic and then could not remove the program or the softonic software. i had to remove end the process and run malware and antivirus. I hope I got rid of it. DO NOT USE SOFTONIC ANYTHING PERIOD it is a virus software. For this article, many thanks. And I took for granted that Softonic was reputable, safe, etc. No longer ! The article is an eye-opener – I wondered where iLivid came from. Given that Softonic is so disreputable, how come it’s allowed to continue to function ? There are laws preventing this sort of trickery – it’s just consider “promotional advertising”. What it really is making money off someone else’s hard work. It’s been going on for years and will continue as long as people keep downloading from Softonic and CNet, which is almost as bad. And there may be others doing the same thing – we understand Tucows may be involved in this sort of trickery – but we haven’t checked that out. So if anyone knows anything about Tucows let us know. We’ll do some investigation on it and let you know what we find. I also hate softonic, but for a different reason. I have a BlackBerry with version 4.5 firmware, but BlackBerry’s app store is only available on OS 5 and above!!! (Rant for another time) Anyways, the only way to install 3rd party apps is to manually download them off the Internet OTA. Well, I search for a free app called Advance OS and LED control, and the search results are: App World (nope, don’t have App World), Softonic, Softonic, and Softonic. I click on the softonic link, click download, and it takes me to the BlackBerry App World!!! Not even a download! Just a useless redirect to something I don’t even have! Softonic is just leeching off of BlackBerry to get more traffic!!! Why have no government organizations stop those two software leeches, CNet and En Softonic? Thank you very much for this article. I almost downloaded Softonic the other day – thank God I didn’t. Softonic didn’t sue you for this, did they? Web of Trust is useless – it is run by a few thugs who arbitrarily decide on a site’s safety. Web Of Trust cannot be trusted at all. Softronic and CNet – are birds of a feather, with Cnet being the bigger brother (it’s owned by CBS). Neither of them can be trusted. Thank you for this article. I’ve finally gotten in the habit of always double (and triple) checking programs and/or DL sites before downloading anything and it looks like you saved me a ton of aggravation today. I almost DL’d from Softonic and ran across this article while checking them out. THANK YOU for saving my sanity – At least for today! I have no idea where this softonic came from, or how to find it to remove it or even if I can. Helpppppppppppppp I use Google chrome for my search engine. I have checked all my programs and I don’t see any thing added that I don’t know, and my tool bar has not been changed, and there are no other toolbars listed. Where on your PC are you seeing “Softonic”? Beware! Softonic is spamming my smartphone two three times a day with unwanted offers. Also in the middle of the night!!! Dont know how or where in my phone. Don’t have any suspicous apps to delete.